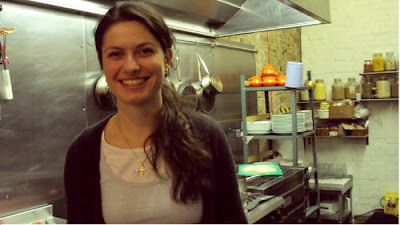 East Londoner, Elisavet Sotiriadou provides an authentic taster of Greek cuisine through hands-on cookery classes. I was born in Stockholm, although my parents come from Drama, Kilkis and Thessaloniki. The latter is the second largest city in Greece and its culinary capital. It has a substantial population of ‘Pontic’ people - Greeks who lived in the part of Turkey which was previously Greek until they were expelled in the 1922 catastrophe. In my opinion, Pontics possess a particularly developed savoir-faire, best expressed through their delicate dishes. Why did you launch a Greek cookery school? After 10-years living in London, I still hadn’t found a great Greek eatery. I launched my school as a hopefully inspiring solution. With the emphasis on fun, we cook, then consume classic Greek food, taking a portion home for lunch or dinner the following day as well as newfound skills and enthusiasm. Is this your main career? Even though the school is always on my mind, I work in music journalism, writing for two world and folk music magazines. I also prepare features for Swedish Radio. I used to work as a Producer for BBC World and News 24 mainly as a night-shifter. The Beeb’s canteen food was awful. Brimming with uplifting delights such as ‘spanakopittas’, my colleagues would comment on my ‘lunch’ boxes, which would actually be eaten at 3am! I’d often bring food for the team. I was particularly popular one Christmas when I made ‘Kourabiedes’ (Greek shortbread cookies) and ‘Baklava’ pastries. Did family and friends support your endeavour? A few people laughed at my idea, but I always felt I was onto something. My parents were initially shocked, wondering whether I would quit journalism for cooking. But they soon became excited when we went shopping for aprons, tea-towels and various kitchenware. In fact, before every class, I still consult my mum when finalising the menu. My cousins in Greece, and friends as far as Canada follow my adventures via my Facebook page (www.facebook.com/GreekCookery). A sixth-form college contacted me looking for someone to run their Greek class. I thought it must be about the Greek language. However, as our conversation continued, they kept returning to food. It got to the point where I said, “enough with food, let’s talk about the job!” Only then did they mention that I was actually meant to instruct non-Greeks how to prepare Greek dishes! They took me on and it went brilliantly. By the end of the course, I’d gained so much confidence from my students, who were a lovely, eclectic bunch. I felt I was offering something unique in London: how to prepare home-cooked Greek food to die for! So I rented a professional kitchen, advertising seasonal menus through social networking sites. A few months on, and we’re on our 25th class. I’m also in demand for team building days and celebratory events. The most surprising is mussles and Feta. When I describe this dish, I get very strange looks. However once people try them, shock metamorphoses fast into delight. I also love demystifying filo pastry – which can be easy to make. With 1.5kgs of aubergines per tray, my Moussaka is one of the hardest, but most satisfying dishes for students. Also, ‘Giaourtlou’ from Constantinople are impressive, sausage-shaped meatballs, crafted with baked tomatoes, peppers and a splash of yoghurt and paprika and pita bread into a tiny food tower. Places cost £25/person, including four hours tuition and ingredients. Students need to bring containers to take food home and (preferably Greek) wine to enjoy during the class. The next classes occur 8th and 22nd March. 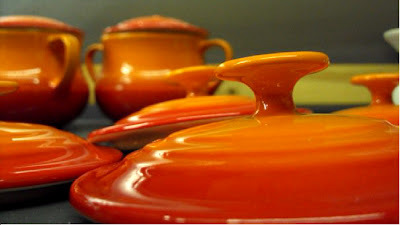 For more information, e-mail: greekcookeryclass@gmail.com or follow Elisavet on Twitter (www.twitter.com/greekfoodlover).